You have stepped out to purchase a new audio cable but still confused what should be the right cable for your high-ended system. You are not a tech geek, and do not want to look foolish in front of a salesman, as you do not know the very basics of audio cables. No worries. You need to read this article, and you will get enough information, to impress a salesman. Audio cables are not the most important part of your setup but understanding the different types of audio cables and how they perform with different devices is important. This thing can eliminate the confusion and make it sure for you to get the best possible cable. For most of us, an audio cable is the simplest thing and there is nothing to worry while purchasing one. You come to know the varieties and types of the audio cables when you go out to buy one. So, we get to start from the very beginning. Stick in here, do not rush around, and read the entire article. "A cable which is used to transfer analog or digital signal produced from the audio speaker or amplifier". This is the simplest definition of an Audio cable: it is simply the wire which transfers the audio from one component to the other components. Like when we speak in a mic, the audio cable transmits the signal to be processed, and you can hear that voice in a loudspeaker. Every Audio cable, even if it is properly inserted, produces some noise and distortion. Therefore it is very important to know which cable to use for a specific job. Where many of us get confused is the division of Balanced and Unbalanced cables. You need to go through some of the basics of it. I am not going to elaborate the inch and squares of unbalanced cables. I will just give you an idea; what unbalanced cables are. This cable consists of two wires: a signal wire (sound wire), and a ground wire. The signal wire or sound wire transfers the signal and the ground wire protects this wire from external interferences like lights, TV, radio transforms. The thing which makes this cable unbalanced (cable) is that it passes the signal or sound without manipulating. Leaving the audio untouched, or not manipulating, makes the stuff simpler, but sometimes the audio can become distorted. RCA connector, Standard TS cable connector are some examples of unbalanced cables. In this cable, there are three wires, two used for passing the signals or sounds and one is a ground wire to protect the other two wires from distortion or external electronic distortions. TRS cable connectors, XLR cables connector are examples of balanced cables. The purpose of a cable is to pass the electrical signal from one device to the other connected device or component. Ultimately, you are searching for the cables which are flexible, durable and which has the ability to pass the voice in better quality. These are the type of cables used in recording setups. These cables connect different components together, and they are used for a short length. To connect a microphone to a sound system we use Microphone cables. These are the widely used type of the cable. You use your headphone; connect your headphone jack into the laptop or computer port to listen to the songs or to watch the movies. This is an unbalanced cable; these cables mostly are bigger wires, because they carry much higher voltage. Most cables come in standard lengths; you have no need to be precisely related to the length before going to purchase that. But, it would be ideal for you to measure the cable before buying. It is very easy to figure out, take a piece of string and run it from one of the components you want to connect to the other. And get an idea about the length of the cable, as it can eliminate the fuss of buying a short cable. Get an idea of the length of the cable, as it can eliminate the fuss of buying a short cable. The second most important thing you need to do before purchasing an audio cable, choose the correct format. You must know which format you want to get, a stereo, analog surround sound or digital surround sound cable. Stereo is the most basic and consist of only two cables. If you want to get a simpler and less expensive cable you can go for it. All sound systems have a code written in the form of a number, a period and then another number. The first number indicates the number of channels; the second number shows the low-frequency. All sound systems have a code written in the form of a number, a period and then another number. The first number indicates the number of channels; the second number shows the low-frequency. So, before stepping out to purchase a cable decide which type of cable you want to buy and from where you are going to buy it. CableTech MEA is the best audio cables supplier company that provides best quality audio cables in Middle East. 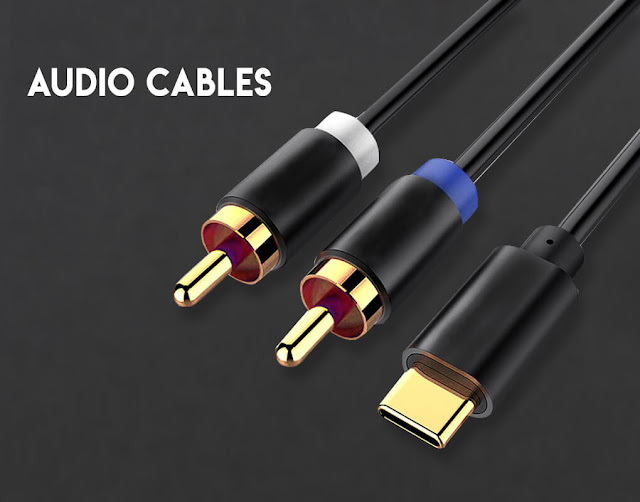 Buy audio cables from CableTech outlets or through CableTech online store. You spend thousands of dollars in buying CD players, Cable television, and stereos, but you are not pleased with the audio quality of your system. You will remain unhappy with the quality of your cables unless you choose the digital cables. The digital cables transmit more signals than any of the other audio cables. The digital cables produce a clear signal, resulting in clear audios. In fact, you need to choose the audio cable made of high-quality material. The oxygen-free copper center surrounded by the braided copper and foil is the best material, as the foil helps to remove the buzz from the cable. You must go for this property centered cable. Also, search for a connector that has high-pressure contact. Low-quality audio cables can ruin your experience of listening to a song on the high-ended system, which you have set up after spending the whopping amount of money. Spring plugs (Best for running the wire through the wall). These are some steps you need to consider while purchasing speaker wire for your system. Most of the people find buying audio cable very confusing; it is not, in fact. You just need to know which type of cable you want to get. Knowing the correct format of the cable, and the quality of the cable is the most important. In the end, you only have to choose the audio cable – according to what we have explained – that suits your need.